It is my Great Joy and Honour to share this Music with you. Initially conceived in 2012, this album bloomed into a five year journey of passionate exploration that brought me into the deepest and highest parts of myself, and to some of the most amazing places in our world. My intention from the start was to capture "the vibration of inspiration", yet it has become about so much more. 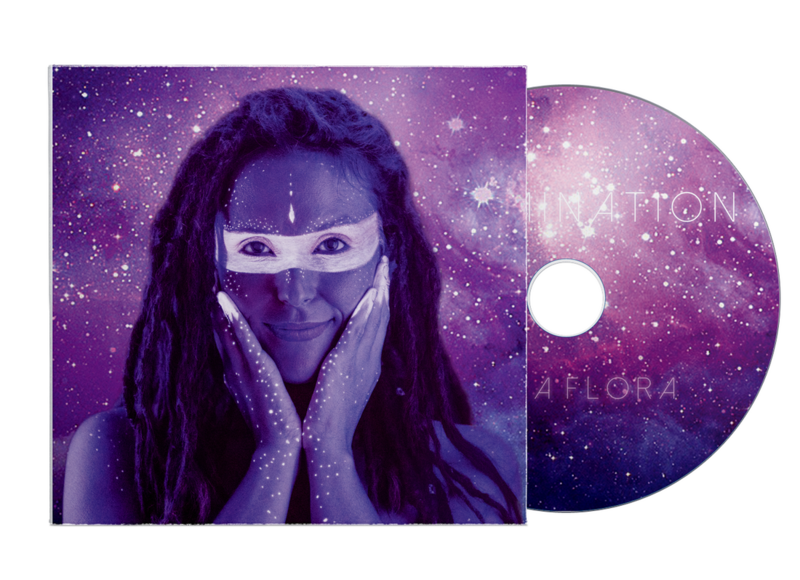 This album is a crystallization of my Divine Truth, Healing Gifts, and Loving Power. I believe that we are presently experiencing a Great Awakening, a time when we are collectively waking up to Who We Truly Are and What We Truly Desire to Create. The Challenges and Darkness are Blessed Catalysts to inspire us to open into new levels of Love, Bliss, and ILLUMINATION. Firstly to the Magic of Music... I am a fascinated student and devoted lover of this Glorious Energy that heals, inspires, and illuminates. To the Loving Friends and Family who nurtured me and this album, your support along my journey has meant everything to me. Special thanks to Jared Woods for the songwriting inspiration that expanded the songs in incredible ways, and for being my creative partner in the album journey. To the Amazing Musicians who played on this album, thank you. Expanding the voice of my soul, my guitar, and these songs was vulnerable but you brought this Music into realms I never imagined were possible! To the Brilliant Engineers who who helped crystallize the sounds, thank you for your expertise and the magic you brought to this project. To the Beautiful Souls who brought forth the visuals, I am amazed at what you do. It's an honour to have your art aligned with these songs! thanks to PledgeMusic and Truly Glorious People!